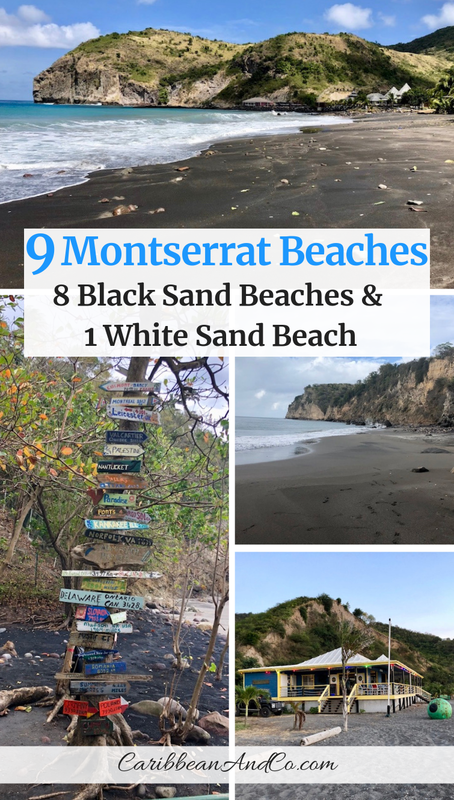 9 Montserrat Beaches - 8 Black Sand Beaches & 1 White Sand Beach - Caribbean & Co. 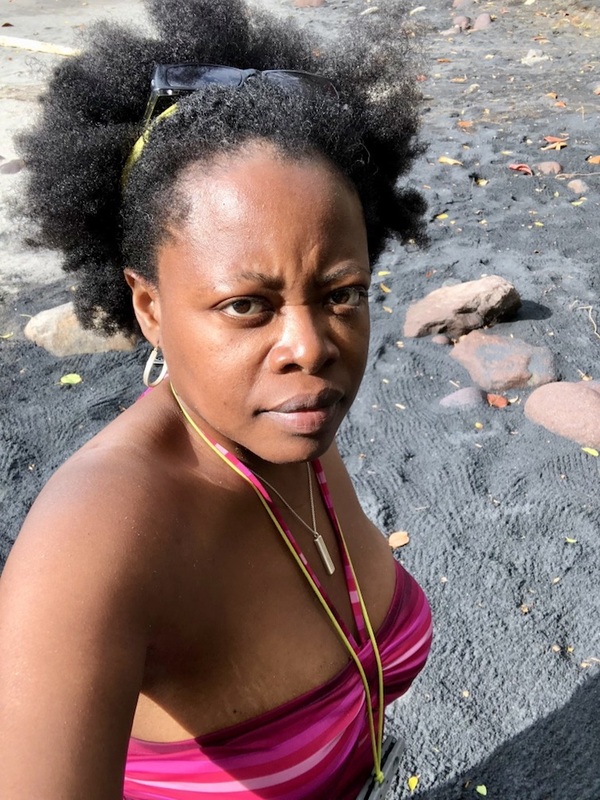 Most Caribbean islands are known for their beautiful white sand beaches, but Montserrat beaches have mostly grey or black sand due to the Soufriere Hills volcanic eruption. 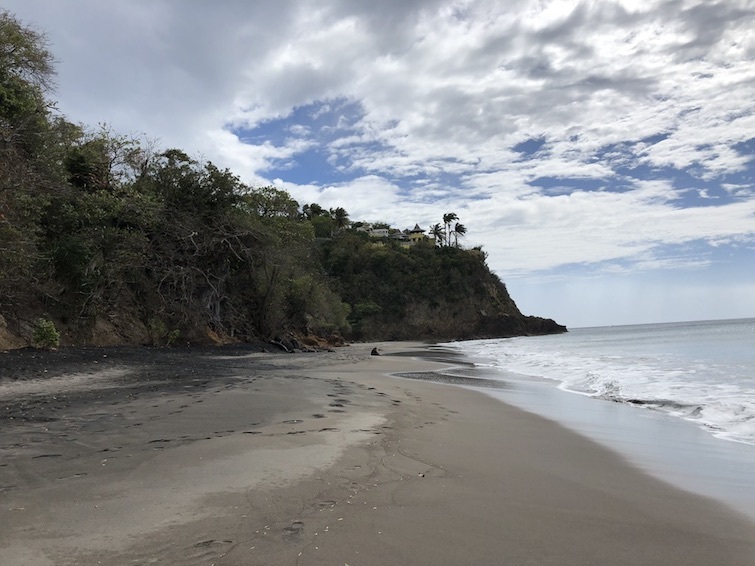 And while black sand beaches may not be the top choice for vacationers looking to lounge and sunbathe, they strike a beautiful contrast against the deep blue sea waters, and this adds a particular mystery and charm. Plus the variation in colors makes for beautiful imagery all Instagram worthy and so definitely one of the top things to do in Montserrat. In total, there are nine public Montserrat beaches and eight of them are black sand beaches. 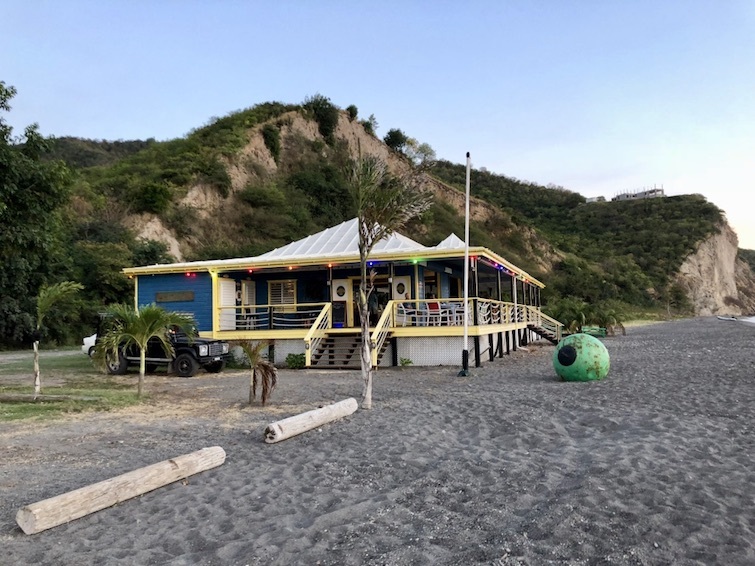 And during a recent visit to Montserrat for the Saint Patrick’s Festival, I visited most of these beaches listed below by location – starting from North to South in Montserrat. Montserrat beaches are rustic, so as outlined above, changing facilities are minimal and most don’t have restaurants or bars. Thus you’ll need to take a picnic basket with food and drinks if you want to stay for an extended period. You’ll also need to bring along a beach towel or two as you won’t find row after row of beach lounge chairs. 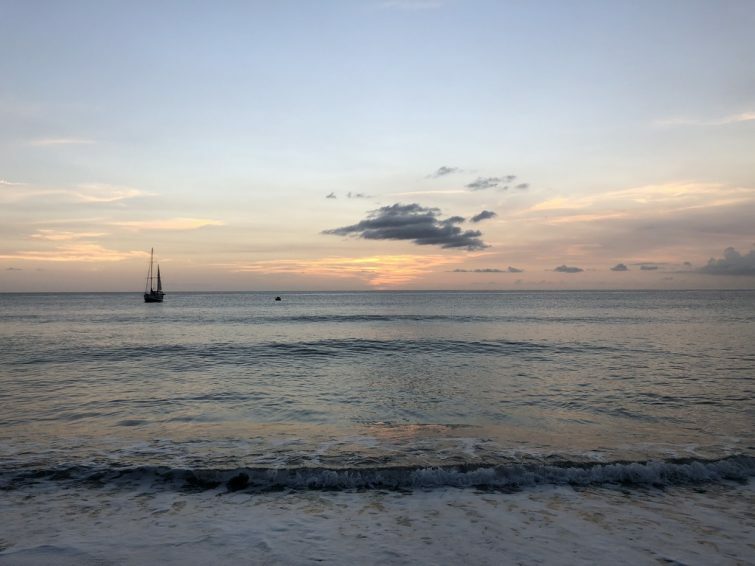 Heck, depending on the time of day that you visit, most Montserrat beaches will be empty. Popular with locals and tourists, Little Bay Beach attracts the crowds as the waters are usually relatively calm for swimming and it has changing facilities along with a few bars and restaurants. 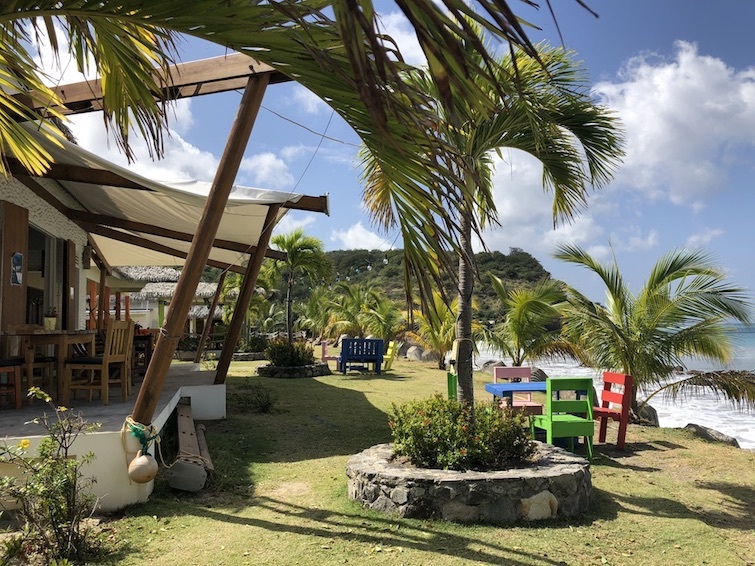 Restaurants including Summer Breeze and Time Out Grill Restaurant & Bar are a great spot to have a leisurely lunch and people watch while taking in views of the Montserrat ferry, sailboats, and occasion cruise ship docked in Little Bay. 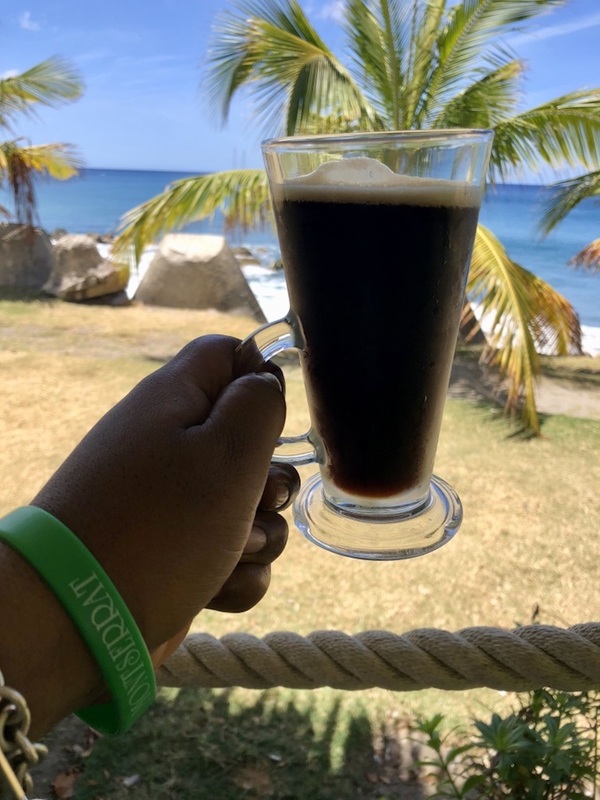 For beer lovers, be sure to try the Montserrat Soufriere Stout served up at Time Out Grill Restaurant & Bar. The smoothies made with local fruits like guava and passion fruit are a good non-alcoholic option. 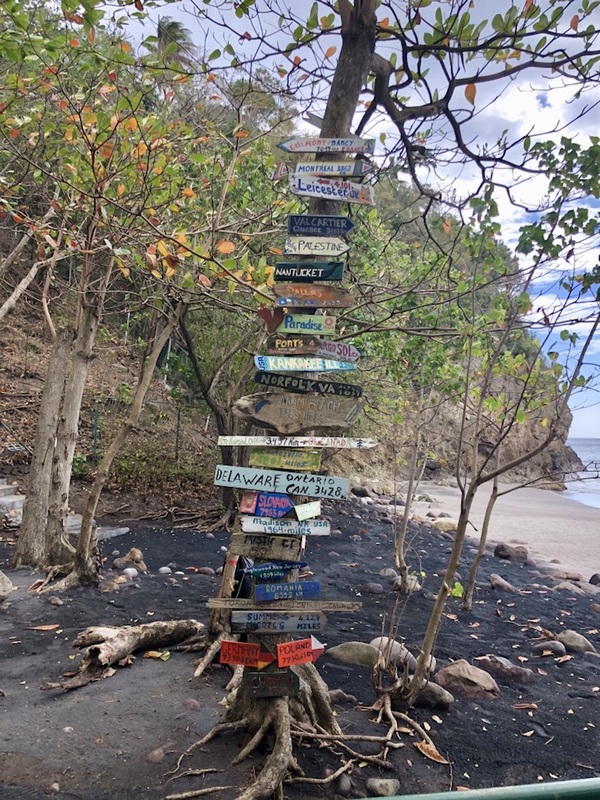 Little Bay Beach may be popular but my favorite Montserrat beach is Woodlands Beach. There are no beach bars or restaurants, but Woodlands Beach does have a covered picnic area, open showers, and changing facilities. And unlike Little Bay Beach which draws the crowds and can be noisy at times, Woodlands Beach is mostly secluded and so a great place for intimate outings, swimming, and turtle watching during July and October months. On the afternoon that I visited, there were no more than ten people at the beach and for a stretch of about two hours, I had the beach all to myself. 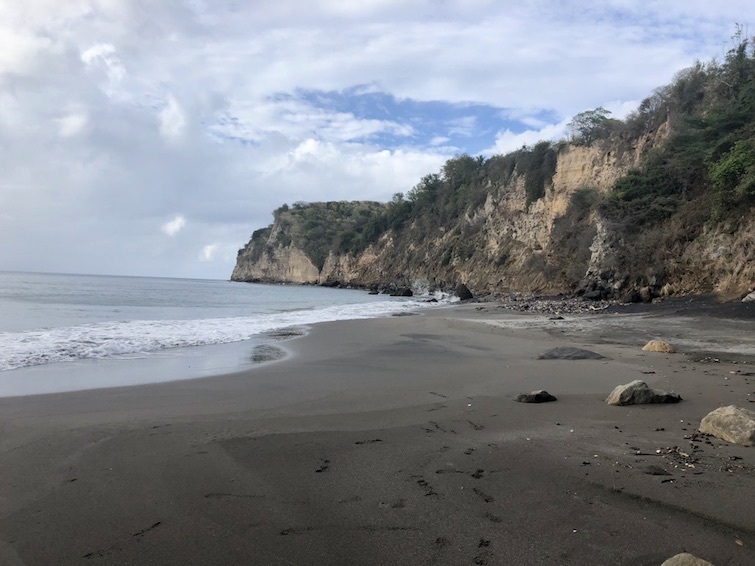 Another beach I’d recommend in Montserrat is Bunkum Bay Beach which is small and secluded right in the middle of St Peters. There are no changing facilities at Bunkum Bay Beach, but it does have a beach bar with pool table. Isles Bay Beach located in the Southern part of Montserrat is another favorite. You can take in views of posh houses in Isles Bay along with Old Towne area along with views of the Soufriere Hills Volcano. And with shaded seating at the far end, Isle Bay Beach is a good picnic spot. Plus there is the Isle Bay Beach Bar which is a great place to hang out for drinks and a meal on the weekend. 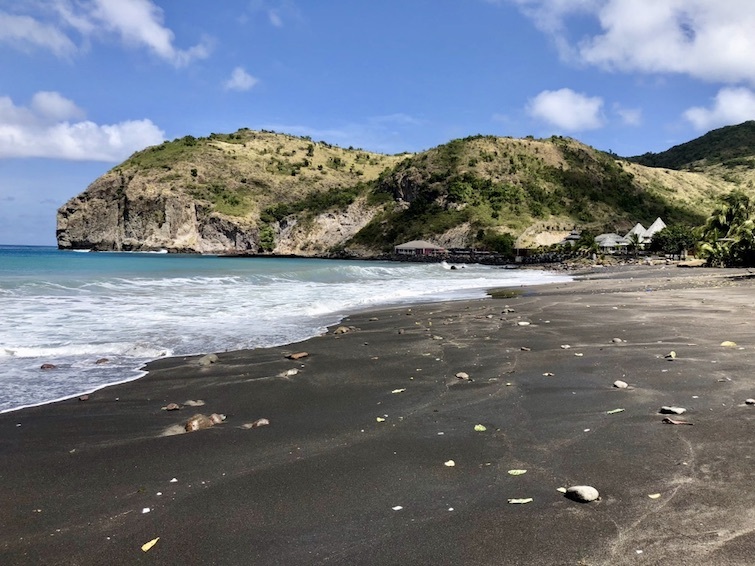 So which of these black sand beaches will you be checking out when you visit Montserrat? 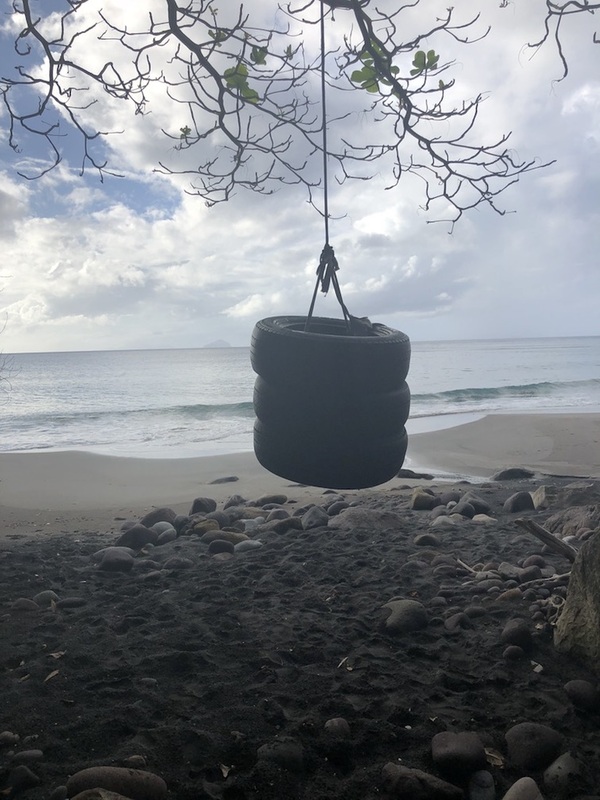 Whichever you chose, note that there are no lifeguards on duty at the beaches in Montserrat, so if the seas are rough, use caution when deciding whether or not to go swimming. It might be best to just to relax on the beach, soak up the views or take a stroll up and down the beach.